Beth's practice focuses on corporate law. Prior to entering the practice of law, Beth worked in the financial industry, implementing strategies in key agriculture sectors and developing underwriting capabilities. She has developed credit policies and has experience structuring physical commodities, developing pricing models and ensuring compliance with CFTC and exchange rules and regulations. 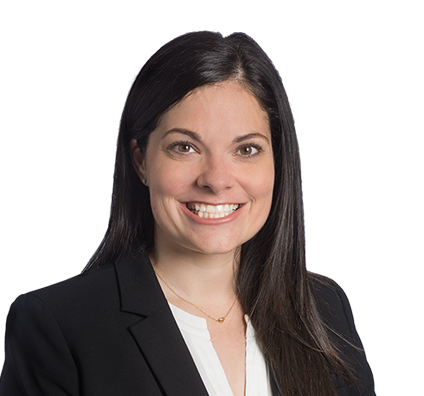 Beth joined Husch Blackwell in 2017 after a serving as a Summer Associate in 2015 and 2016. CALI Excellence for the Future Awards: Agriculture Law, Business Associations II, Civil Rights Actions, Commerical Law: Secured Transactions, Contract Drafting, Criminal Law, Criminal Procedure, International Commerce & Investment, Introduction to Constitutional Law, Jurisdiction, Lawyering Skills I & II, Mergers and Acquisitions, Property, and Torts I.